Dolce & Gabbana The One was launched in 2008 and is categorized as oriental and spicy. It is recommended for evening use for a mature individual, yet I’m sure most can pull it off in the proper setting and attire. The One has notes of cardamom seed, grapefruit, orange blossom, coriander, basil, cedar, tobacco, amber and ginger. It has a moderate scent strength which means it only requires a few spritz to achieve desired smell and generally lasts anywhere from six to ten hours. Positive aspects of this fragrance are that it smells great, draws compliments, has a long lasting scent and is unique. Based on reviewer feedback there are no negative sides to this cologne that have been brought up yet. Fans of this scent will also enjoy Joop! Homme Cologne for men and Armani Code by Giorgio Armani. The One cologne by Dolce & Gabbana is elegant, sophisticated and great for dates, dinners and lounge outings. 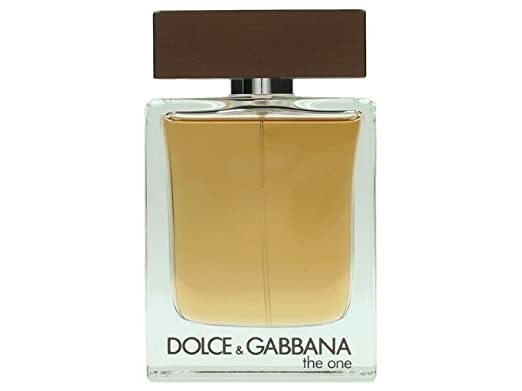 The One cologne by Dolce & Gabbana comes in a thick durable square like bottle. It is transparent with a gold liquid inside. At the bottom of the bottle “DOLCE & GABBANA” followed by “the one” is written in black-brown font. The cover pops on and off and is black. In general The One is very simple in appearance and sort of boring looking compared to other colognes.